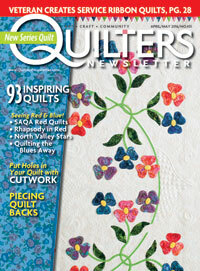 Jean's Quilting Page: A few more blocks. Since I have my working models finished for my class Saturday, I worked on another set of blocks for a class model. I am making 4 of each block. 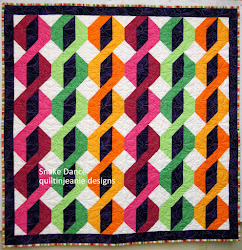 This class is aimed at people who have done little or no piecing, but would like to try it. I am going to offer these as mini-courses. You can take one class, two classes or all of them. This is the set I worked on last night. I love these colors! I have one more set I want to make. Only 4 days of school left after today. I am so ready! 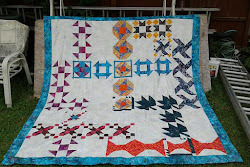 So glad you had some time to sew...lovely blocks! lovely block. they look nice together. Mms, I really like those blocks. 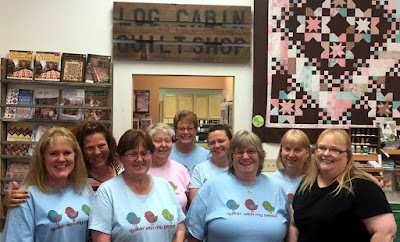 They will make lovely quilts or great cushions!